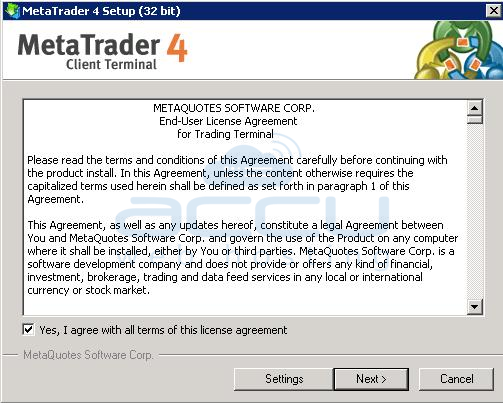 Following article will assist you to install MetaTrader Trading Software in Windows VPS. We provide dedicated Forex VPS plans. Login to your VPS through Remote Desktop. Open browser of your choice and Download MetaTrader Software. Once MetaTrader is downloaded, open the folder where MetaTrader is downloaded. Right click on MetaTrader setup file and Run the setup file as an Administrator. This will install MetaTrader software. Once MetaTrader is installed, Go to VPS Desktop and double click on MetaTrader icon. This will open MetaTrader window as follows. To start trading, you will need valid trade accont. 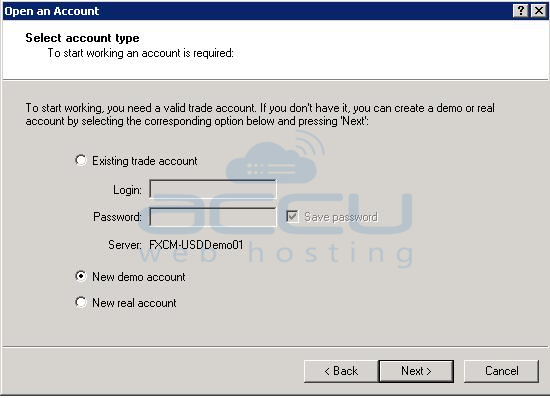 If you do not have trade account you can create either Demo or Real account. If you have already opened Trade account in Metratrader, enter your login credentials. 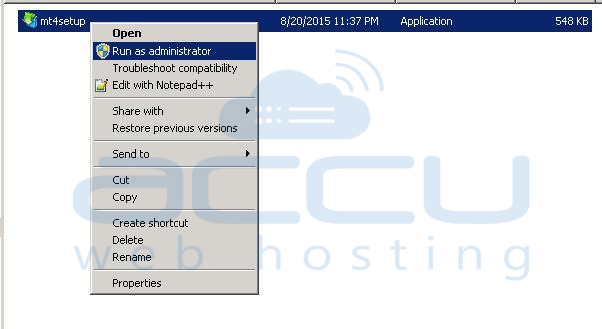 How to change VPS administrator password from Windows VPS Management Portal? How to Setup Remote Desktop Service License in Windows Server in 2012 and 2016 OS?